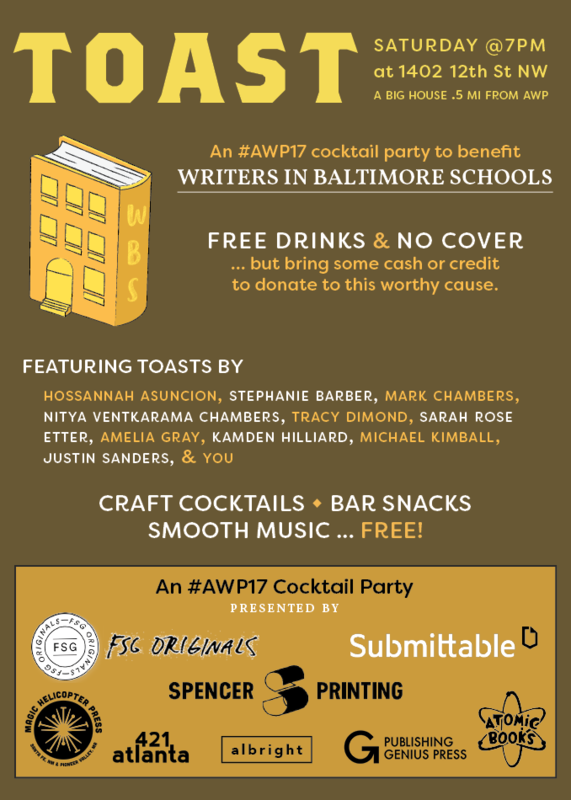 Thank you for donating to Writers in Baltimore Schools. Maybe you can’t make it to TOAST, but your generosity can’t be denied. To say thanks, I’d like to send you a Publishing Genius book. Simply drop me a line at adam -at- publishinggenius.com with your address and let me know if there’s any book in particular that you’d like! And thank you! In times like these, we need the arts. Arts are the filter through which we understand each other, and how we make sense of the chaos. Students should be directed toward that gently, with love, and WBS is an organization that takes on that massive responsibility.